Aries Fire revolves around the 415AD’s and starts off in the time of the Roman Empire. The novel revolves around Seira - a motherless daughter’s – search through Europe and the Middle East in an epic journey to discover reason for her mother’s murder and her father’s identity. Elaine thanks so much for taking time out of your busy schedule to do this interview. 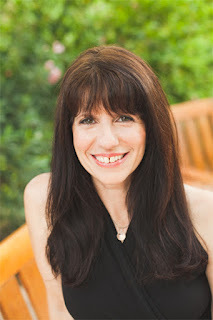 Elaine – you are known as America’s foremost and renowned intuitive channel, empath and astrologer. You are a spiritual counsellor with a worldwide clientele spanning over seventy countries. Can you tell our readers a bit more about yourself? How did you become content with the road you are on? Thank you for the opportunity to share. “Content with the road I’m on?” I smile. Yet in the early years, poverty consciousness had a tight grip on me and left me serving at the sake of myself. There’s nothing sacred or compassionate about ‘giving’ if you shrivel up in the process! Having insights or being able to ‘see’ into a person’s spirit or being able to ‘see’ dead people was not, um…a very comfortable…beginning. I always felt separate, alone, crazy, weird, and freakish. As I developed my skills as a clairvoyant, astrologer and empath, and finally realized that I wasn’t crazy afterall, but rather connected to one consciousness more than ever before, the world opened up to opportunities that can be described as Divine, as magical. I landed in my body (fear kept me ‘spaced out’) and found that the road I created for myself wasn’t a lonely one. It was filled with others who search, share, collaborate, empower and entertain in the process. I stopped using, “Stop the World I Wanna Get Off,” as my theme song and started humming, “Walking on Sunshine,” instead. I found my ‘calling,’ as they say. Being a trance channeller at first, led to me writing about it. In my spare time when I wasn’t sharing a message of Divinity or of Love (what’s the difference?) I’d focus on writing ideas for stories about ordinary people who discovered that they were, in fact, living extraordinary lives. That means you! You who’s interviewing me and you who’s reading this. There’s nothing small about any of you. Plain and simple…you are Pure Conscious Love. 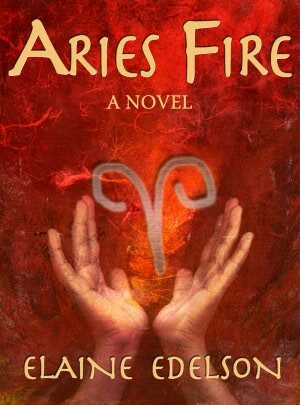 So I thought I’d get around to writing a book series dedicated to people via astrological signs called, ‘Sign of the Times.’ Aries Fire is first in the Series. Understanding the languange of people and their behavior was my first step in being able to communicate and assist whenever possible. I think this is why I LOVE watching movies and reading books. Human behavior is splattered all over the place. We make little testimonies to our race with every written word, every flicker on the screen.